Rachid Felix, Sissel Hodne Steen and Margareth Øvrum. Judging by the excellent turnout at the 7th NBCC Rio Oil & Gas Networking Dinner, the industry had a lot to celebrate this year. 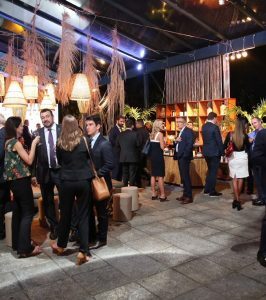 What better place to make a toast to recovery than the elegant surroundings of Itanhangá Golf Club, the venue for the 7th NBCC Rio Oil & Gas Networking Dinner, held on September 26, 2018. The graceful decoration of the club was inspired by snow, ice crystals and winter night stars, perfectly matching the heat of the Brazilian climate and the catchy fervor of the party. 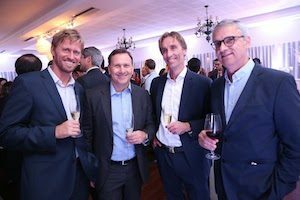 530 people participated at this year´s networking dinner, demonstrating how important the event has become. 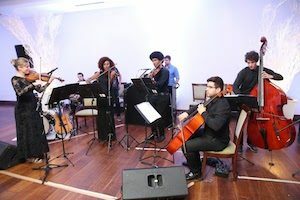 The talented young musicians from Camerata Laranjeiras performed at the event. 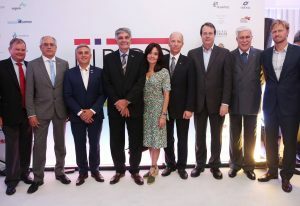 IBP President José Firmo, ANP Director General Décio Oddone and Vice-Admiral Wilson Pereira de Lima Filho, Director of the Brazilian Directorate of Ports and Coasts were among the many VIP guests present. Regulatory advances and successful bid rounds are now attracting investments and making players look at Brazil with greater interest. This optimism and newfound vitality created by the recovery of the oil and gas industry, also marked the networking event very positively. «This is without a doubt the one event you cannot miss during the Rio Oil & Gas week. The NBCC Rio Oil & Gas Networking dinner has become a tradition, and I am very pleased to be here. It is an event where you know you will meet business partners and stakeholders of strategic importance. Norway is a very important partner to a range of Brazilian companies», IBP president José Firmo says. Former IBP president Jorge Camargo, CEOs, top executives like Maria Peralta of Aker Solutions, Lars Peder Solstad of Solstad Offshore and Margareth Øvrum, the new Country Manager of Equinor, were also present – and seizing the opportunity to meet friends, mingle and toast with colleagues and business partners, . José Firmo and Rachid Felix. 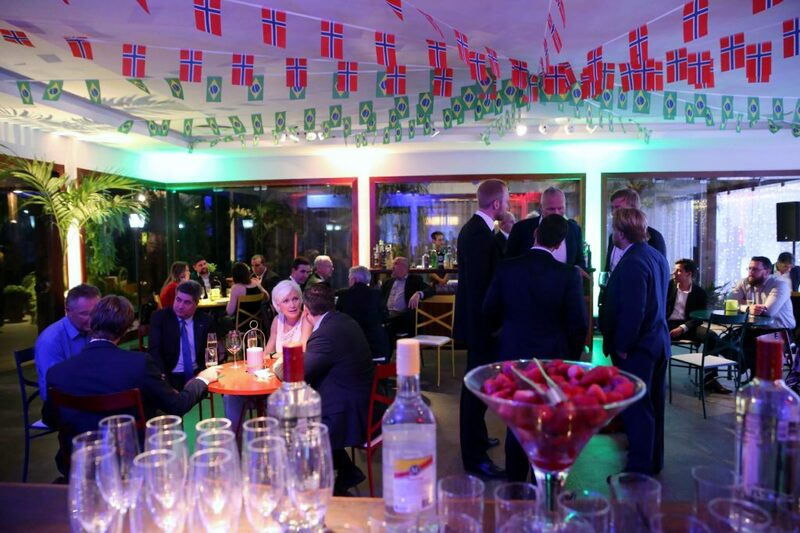 «The event is growing in importance for every edition, and this is a place where the Norwegian business community feels at home, at ease, and where they meet friends, clients and business partners. This is also an event where authorities mark their presence. As for this edition of Rio Oil & Gas we definitely have a reason to celebrate together. The industry is recovering and we note that more big players were actively presente at Rio Oil & Gas 2018. But we still have challenges ahead of us, and need to keep in mind that the game is still only in the very beginning. But tonight we allow ourselves to celebrate», NBCC president Rachid Felix says. Consul General Sissel Hodne Steen brought a message from Deputy Minister of Petroleum and Energy, Ingvil Smines Tybring-Gjedde, to the event. The Minister attended several events during this year´s Rio Oil & Gas, and met with both industry representatives and with Brazilian authorities and institutions during her stay. She was however unable to attend the party as she had to return to Norway that day. «We are privileged to have a minister that is always looking for a way to support the industry. She leaves the country encouraged by the positive perspectives. The industry is now preparing for future challenges. After three days of hard work we have all the reasons to commemorate and enjoy this wonderful evening with friends, colleagues, partners, in this extraordinary atmosphere», the Consul General said. A large part of the NBCC board was present at the party of the year. In August, Equinor created a new business area in a restructuring process of the international division. Development and Production Brazil was established as a separate business area illustrating the importance of the potential in the country. 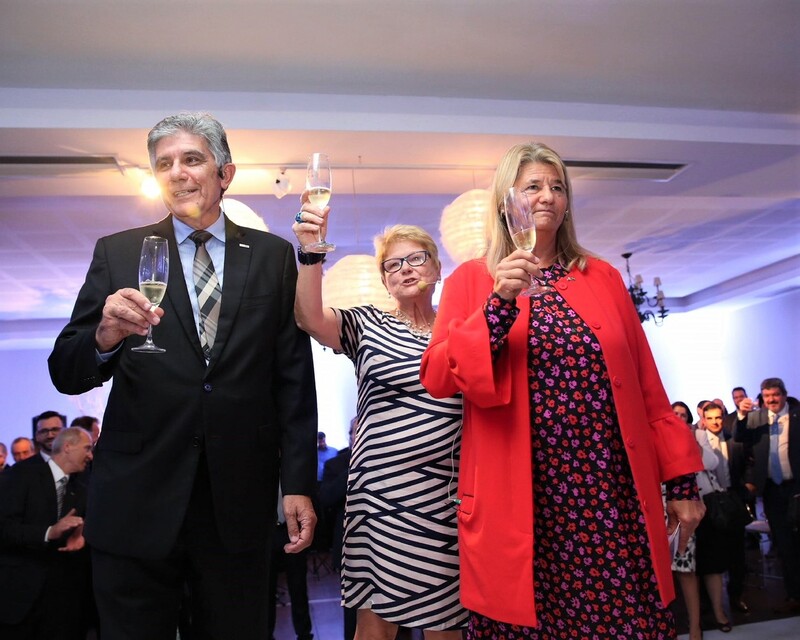 During the NBCC ROG dinner, Equinor´s new Country Manager in Brazil, Margareth Øvrum was also invited to address the guests . Mrs. Øvrum comes from a position as Executive Vice President of Technology, Projects & Drilling in Equinor. «I am very glad to be here during Rio oil & Gas and looking forward to start working here. Brazil actually reminds me of Norway in the early 80-s, and we see very, very interesting opportunities here», she said. Equinor is encouraging Norwegian suppliers to follow the Norwegian oil major out and establish in Brazil. 4Subsea, a supplier of subsea equipment, opened a Rio office last year. From the left; Halvard Idland, Erik Hannisdal, Peter Jenkins and Jorge Camargo. «To be present at Rio Oil & Gas is very important. 4Subsea has presented papers and participated at a seminar on digitalization. Being an NBCC associate is a great way for us to meet people and getting introduced to the Brazilian market. Brazil is the biggest market for us, and definitely of great importance. The Brazilian oil and gas industry is facing some of the same challenges we know from the North Sea and we see many reasons for optimism looking forward», CEO Peter Jenkins says. 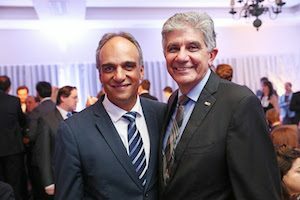 «This event is a fantastic initiative that gathers the main leaders of the offshore sector, and an opportunity to socialize and come together at a time where the oil price is rising and new business opportunities are presenting themselves», says Rodolpho Athayde, Director South America of Genesis. Genesis is part of the TechnipFMC group, with close links to Norway. ESD Drilling very recently joined NBCC as an associate, and CEO John Dale was of course present at the networking event. ESD was established in 2012, and offers marine riser less drilling solutions and all electric controls for BOP operations. «We have been talking to different stakeholders in Brazil since 2016, and now we have opened an office in Rio and plan to hire engineers and project managers. We intend to follow the Brazilian market closely. Opportunities here are huge», Mr. Dale says.